How does acupuncture relieve anxiety and stress and increase overall well-being? Acupuncture encourages your body to heal itself naturally without the use of medications. It stimulates the body’s own natural chemicals such as endorphins and serotonin to reduce inflammation and pain caused by stress. It also suppresses inflammatory mediators that provoke inflammation in your body. The benefit of all this is that acupuncture helps you to relax and does this without the risk of harmful side-effects from medications. Acupuncture can calm and relax your mind and body from your daily stressors while mitigating the harmful effects of stress. As a result, incorporating acupuncture into your schedule can help decrease the effects of mental stress such as anxiety and promote overall well-being. 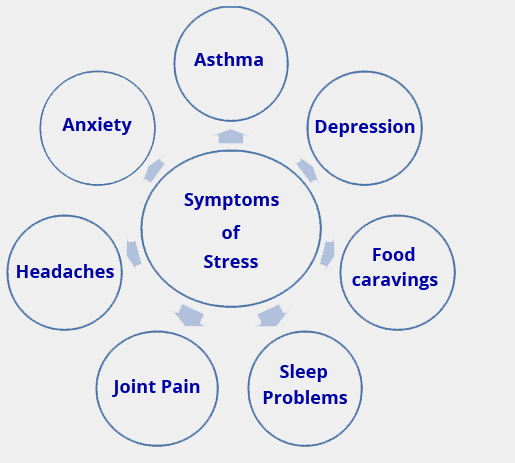 It should also be noted that long-term physical and emotional stress significantly contributes to disease and illness. Western medicine has confirmed in numerous studies that stress weakens the immune system, accelerates the aging process, and contributes to diseases such as cardiovascular disease, diabetes type II, high blood pressure and obesity. Furthermore, it is known that stress can be a contributing factor of fatigue, headaches, insomnia, depression, muscle tension, anxiety disorders, emotional problems, weight gain, digestive disturbances and much more. Therefore, incorporating regular acupuncture sessions into your schedule to either help resolve stress-induced conditions or to maintain health and prevent illness may be one of the best investments you make for your health.